After a lot of entertaining television (I know I wasn’t the only one flipping back and forth between events), the Olympics are over. Canada brought home the gold in both Hockey and Curling, so I’d say it was a success for our friendly neighbors to the north, who were gracious hosts. 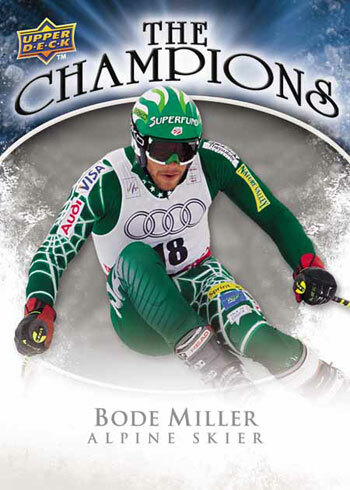 “The Champions” is a special 41-card insert set, which is included in 2009-2010 Upper Deck Series Two Hockey. Even better? The set will have redemption cards for autographs by the same Olympic athletes. Future releases 2009-10 Ice Hockey, SP Authentic and O-Pee-Chee Metal will include autographed “Champions” cards in the product itself. Authenticated autographed cards are nothing new for Upper Deck, but doing it for medal winning Olympians is definitely something special (not to mention a great item to add to your collection). 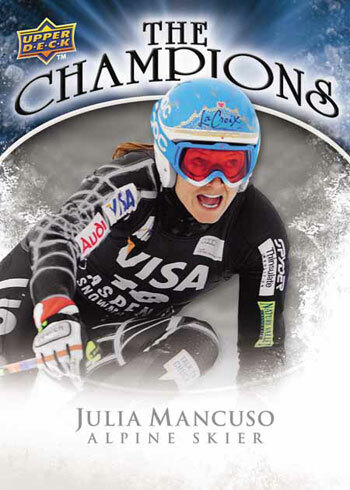 Click here for more information on this series, including more names of athletes in the set!